Yukiji’s Walkman is broken, so Makimura-sensei uses another broken one she has from long ago to fix Yukiji’s. Yujiki calls her a genius, but Makimura remembers being a student at Hakuou Gakuen when Maria was the 10 year old student council president in her 1st year of high school. Makimura loved her Chibi President, though Maria didn’t care for the title. Makimura even formed the Video Research Club in order to record Maria’s every move. When Maria found out about this, she destroyed the camera and tape. Makimura decides they’ll have to go audio, but when Maria uses her tape recorder, she destroys it when Makimura finds out. So, when Yukiji finds a tape in the old tape recorder of Makimura’s, Maria shows up to make sure the recording isn’t heard. At the mansion, Maria discovers a love letter for Hayate in the mail. 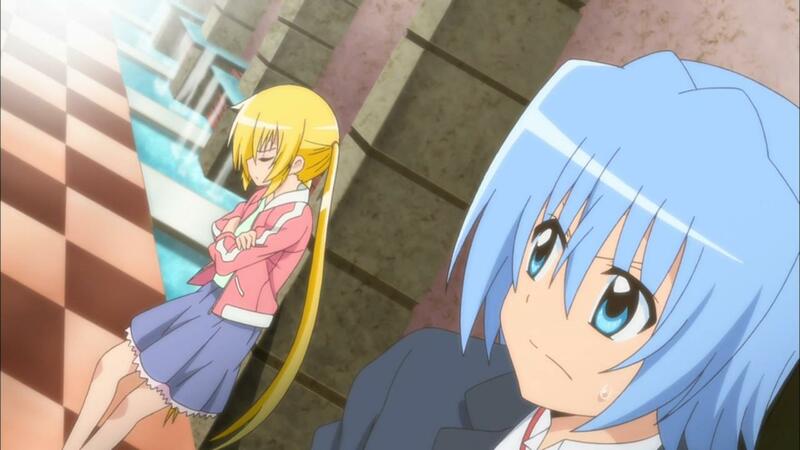 Without even reading it, Hayate wants to know how to go about kindly rejecting the person’s advances. 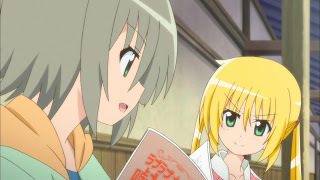 However, upon reading the letter, they discover an obsessed person, so Nagi takes charge of the rejection letter and mails it off with Hayate. Immediately, they get a response filled with a massive, obsessive death threat, so Nagi comes up with a script for dealing with yandere girls like this. 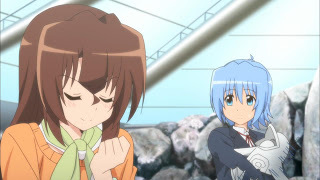 As such, she has Maria and Hayate go on a date, though she warns Hayate not to get any ideas. So, Maria and Hayate head out, where they are soon spotted by the disbelieving Ayumu. 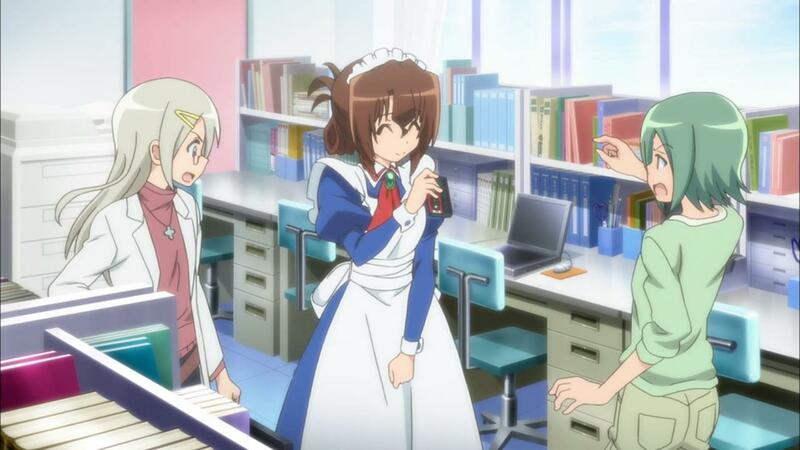 Nagi shows her script to Sakuya and Isumi at Yukari-chan House, causing Father Radiostar, who’d sent the original letter as a joke, to become enraged that Hayate is scoring a date with a cute maid. 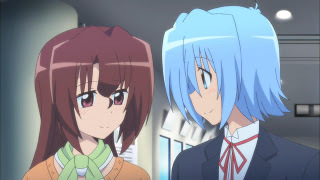 He leaves as Maria and Hayate do the shopping portion of their scripted date, which has Hayate dressing up in women’s clothing. 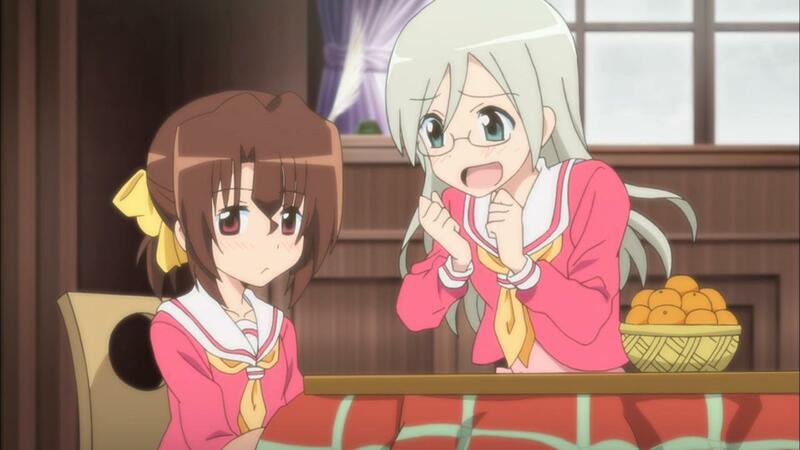 Ayumu is stunned by what she sees. The script then has Maria try on swimsuits, which Hina discovers them doing, leading her her being stunned. 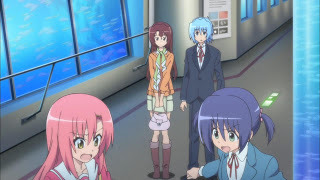 Ayumu and Hina then tail them to the aquarium, where Father Radiostar possesses a penguin during on of the shows to get into Maria’s arms, only to end up in Hayate’s. 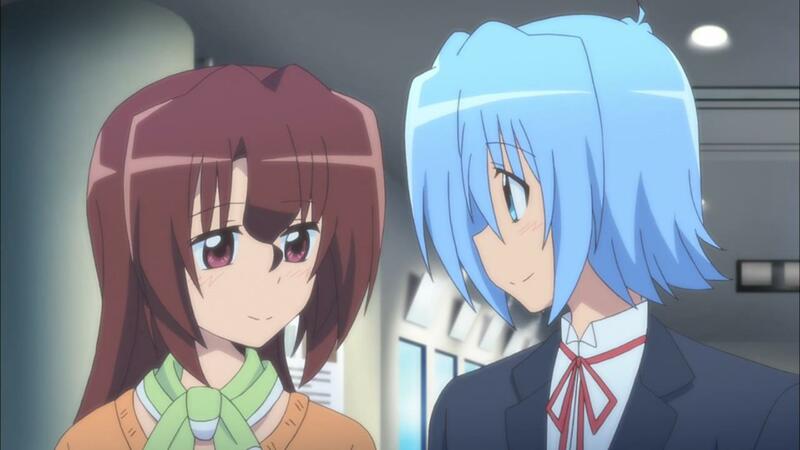 The date over the two run into Ayumu and Hina, who are relieved to hear Maria and Hayate aren’t dating. Maria and Hayate head home, were Maria ponders the idea of having a boyfriend. In case you were wondering, this episode was adapted from chapter 160 (volume 15), 189, 190, and 191 (volume 18). I suppose for a Frankenstein episode, this one wasn’t too bad, but I missed certain contextual things. The entire love letter story in the manga was the vehicle by which both Ayumu and Hina decided that the really wanted to go abroad to get away from things. Here, they no longer have that desire to get away when they initially see Maria and Hayate on their scripted date, and I missed that even though it was a little thing. The flashback story of Maria as a student at Hakuou Gakuen doesn’t work so well because Maria doesn’t properly look like a ten year old kid most of the time. She just looks like a chibi version of herself for the most part which doesn’t work. In the manga, she properly looked much younger, so things like the guys interested in her back then come off funny in the manga. In the anime, not so much. The only part the anime did better was Father Radiostar’s penguin escapade, especially the aftermath. That I actually laughed at for the anime episode. Anyway, I think there are still two more episodes to go. Whew. Just so you know, the last two episodes will be an original story and not an adaption of the manga. I have a feeling it’s going to connect with CTMEOY in some way. While I share some of your frustration with Cuties and it’s plot mangling, I think it’s nice that the format let them cover a lot of popular side stories that would likely never have been adapted otherwise. I wouldn’t want another season like this but I don’t mind it too too much. >Just so you know, the last two episodes will be an original story and not an adaption of the manga. I have a feeling it’s going to connect with CTMEOY in some way. I’m pretty sure that’s what will happen but we’ll see. 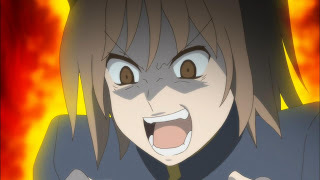 >While I share some of your frustration with Cuties and it’s plot mangling, I think it’s nice that the format let them cover a lot of popular side stories that would likely never have been adapted otherwise. I would have preferred it to have been done in a fashion without this forced linkage to try to make a new story. Sometimes, they did this via flashbacks since they couldn’t have characters already in the series suddenly be introduced without going to the flashback (Kayura’s story for example). Ultimately, I would have liked for all of the stories to have been original ones. How is Sakuya able to see Father Radiostar? That’s something the manga never explained. Back when Isumi was doing the maid thing for Father Radiostar, Sakuya could somehow see him, and this was something the manga made explicit, which Chiharu (as the maid Haru-san) could not. 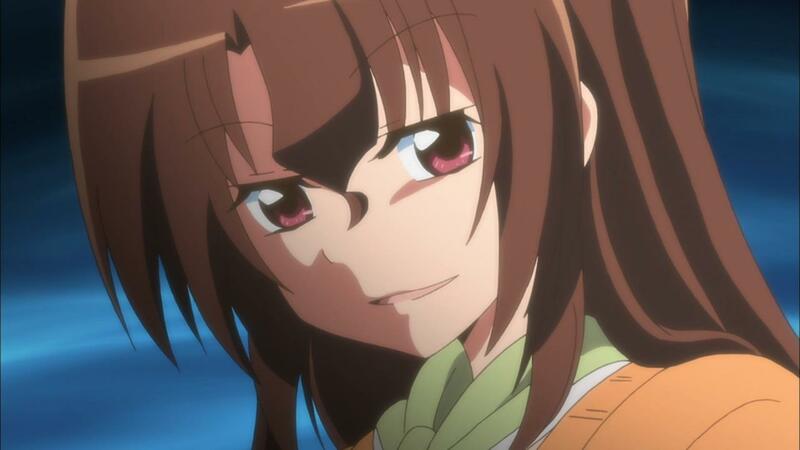 My guess is that since Sakuya has gone out with Isumi on various missions and has been in contact with the supernatural world, she can see the same supernatural things that Isumi can. Lol, Father Radiostar turn white because of what Maria said. I guess he thinks Maria wouldn’t hold him if he actually jumps in her arms.